As the island is gradually developing, things to do in Kefalonia are many. Due to the interesting reefs and underwater caves at the coastline of Kefalonia, some diving centers have opened. These centers offer courses and diving trips in the Ionian Sea, while even diving trips to Melissani Sea Cave are organized to explore the magnificent lake bottom. Some beaches of Kefalonia island, including Antisamos and Xi, have water sports centers with fun games. Windsurfing is also practiced in the peninsula of Lixouri, while the countryside of the island is great for hiking. Old footpaths have been signposted and lead to monasteries, Medieval castles, mountainous villages and secluded beaches. Want to discover more about Kefalonia? View also: Things to see and where to eat and drink! Discover the sightseeings, beaches and villages of the island. On a drive around the island, visitors shall meet many Kefalonia wineries. The old wrecks and interesting reefs of Kefalonia make this island very popular for diving. 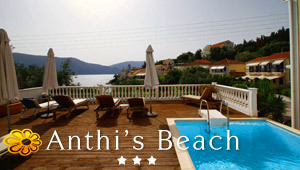 Here are some watersports centres in popular beach places in Kefalonia. Discover alternative form of tourism and get closer to nature. Discover the festivals, religious feasts and cultural events on the island. Discover a 18-hole mini golf court in the beautiful peninsula of Palliki. Organize the wedding of your dreams in this beautiful island of the Ionian Sea.